Digital photography tips for people interested in photography as a creative outlet includes ways to use photography as a means to express oneself and relax. Enjoying photography as a hobby requires having the right mindset. Otherwise, the mobile phone digital camera will be abandoned for the next new shiny object. 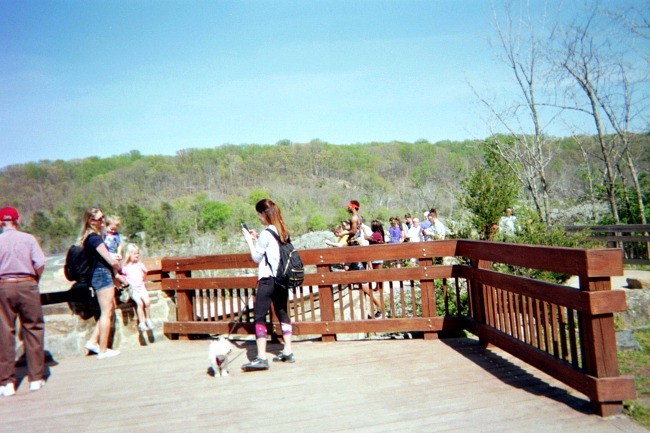 Teen using a mobile phone to take a picture of her family at Great Falls Park in Virginia. Many rewards can come with developing photos that can be shared through social media channels and with other people. Photography can be a relaxing, entertaining and enjoyable experience. Photography is a great venue for self-expression and fulfillment. Creating photographic artwork is a wonderful way for teens to connect with friends, family and peers. Teens will never know what doors will open in the future for them with photography unless they get out there and try using their mobile phones to take pictures. Learning how to experiment is one of the key digital photography tips. Experimentation includes different styles of photography such as HDR, light painting, black and white. People or landscapes can be photographic subjects. Photographic experimentation can be teamed up with tutorials, guidebooks and the mobile phone camera’s manual to enhance the learning experience. 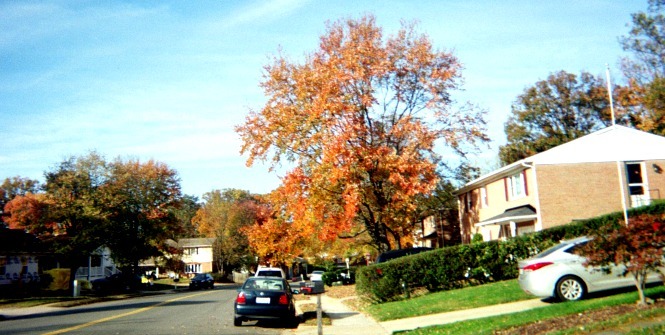 Teens can practice taking pictures around the neighborhoods they live in. Ask for help when learning how to take better pictures. Join other teens interested in photography in photography clubs in school or in the community. Use your mobile phone to connect with friends through social media channels and Internet forums and blogs. Pinterest, Instagram, Flickr and Worth1000.com are other places for teens to share their photos with others. Invest both time and money into your hobby. This means getting the right equipment such as a mobile phone camera, tripods, filters and software. Many teens already own a smartphone. These devices can be used to take clear photographs that can be transferred over to a computer. Free online editors are available to help teens develop beautiful images from the photographs teens take. 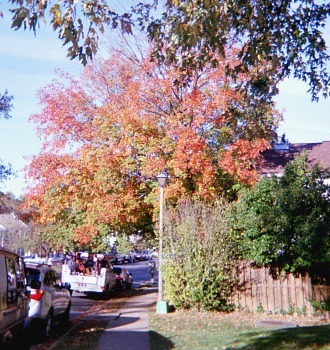 Teens can take scenic pictures of trees with leaves that change into pretty colors like this tree. Monoshot – Lightweight tripod has a universal smart phone mount for all models. The Bluetooth Shutter remote accessory is universal and can be used with an iOS or an Android mobile phone. You can find a similar product at Amazon.com. Nomad Charge Key – This is the charging cable that can be carried around everywhere along with a set of keys. This cable is great to use when the phones charge is low. It is of high quality and its durability prevents it from breaking while stored in a pocket. Moment Lenses – These are recommended as the best to use for serious iOS mobile phone photographers. iBlazr Wireless LED Flash – This is a wireless LED flash unit that is great to use for low light photography. It works with both iOS and Android native camera apps. The color temperature is adjustable for image light sources. Piconizer – This accessory is for all iOS devices that have the lightning connector. The Piconizer provides more storage space on the go for avid photographers. An app helps the photographer pull all photos and videos of the iOS device without having to plug into a desktop or use a WiFi connection. 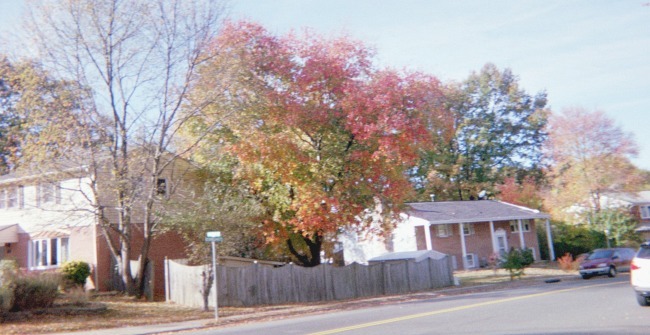 Taking pictures like these helps teens practice taking better pictures using mobile phones. Get out there and start taking photographs. The more practice you can get, the better photographs you will take the next time you see that perfect shot. Share your photographs with others and ask for feedback. Friends and family can help. Invest both time and money in taking better photographs and soon you will be a great amateur photographer. Mobile phones research for teachers during the instructional day. The importance of mobile phone apps benefits teachers, students.and parents who use mobile. Homeschooling and homeschool programs as a home education resource for parents to use to teach their children at home. Education online resources are unlimited for older or retired adults. These special interest resources are easy and simple to use. © Copyright 2015 - 2019. MobilePhonesResearch.com. All rights reserved. No reproduction permitted without permission.